The grocery business has seen plenty of changes and competition over the years, but never a brutal war as it is witnessing now. Exciting things are happening as a result, including two recent developments. Kroger is streamlining its business model to better compete against companies like Amazon, which just announced free Whole Foods deliveries for Prime members. 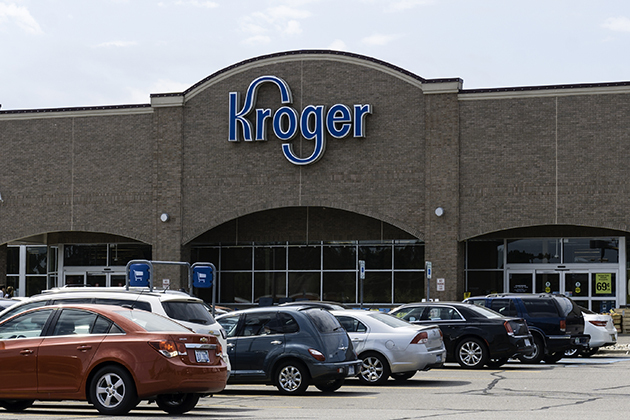 Kroger recently made a strategic deal to sell its convenience stores. The deal, which is for $2.15 billion, will see close to 800 of Kroger's convenience stores go to the British gas station operator EG Group. Kroger said this was a calculated move that will help sharpen the focus on the mainstay grocery business. The competition from online vendors, home delivery systems and, of course, Amazon are hurting bottom lines. It is no surprise that these developments are putting smaller brands out of business. Bigger names are struggling, too, and they have realized that investing in technology and innovation are the only ways to go forward. Kroger is planning to lower debt and buy back shares via the proceeds from the sale to strengthen its financial base. This will help the company revamp its 2,800 brick-and-mortar supermarkets. Kroger's plan is to invest in its online channels so that it can compete better with Amazon and Walmart. They also plan to boost in-store technology and cut prices to stay ahead of the stiff competition with discounters Lidl and Aldi. Kroger's decision to focus on its core business is most opportune, but Amazon again has the market abuzz with news. The online retail giant announced free two-hour delivery from Whole Foods stores for its Prime members. The initial rollout is for four cities — Virginia Beach, Austin, Dallas and Cincinnati, effective immediately. At this point, not everything can be ordered online, but the offer includes most items found in local stores. Customers in these cities can order meats, fish, fresh produce and even flowers. Prime members can go online or order groceries using the Prime Now app. Minimum purchase needed for the delivery is $35, and the service will be available between 8 a.m. and 10 p.m. daily. For customers who want faster delivery, Amazon will deliver groceries at their doorstep within an hour for $7.99. Amazon has already lowered prices on some items at Whole Foods stores across the U.S. This easy delivery system will clinch its place as a veritable online grocer. Amazon now ranks as the fifth-largest grocery retailer in the U.S., behind Walmart, Kroger, Costco and Albertsons. These recent developments reveal Amazon's strategic integration plans between the online market and brick-and-mortar stores. The latest move will affect all rivals, as well as related businesses like Instacart. Speculations are rife about the future of the Whole Foods-Instacart partnership, which home-delivered its groceries for the past three years. One thing, however, remains certain: There are plenty more moves to come in the grocery wars.